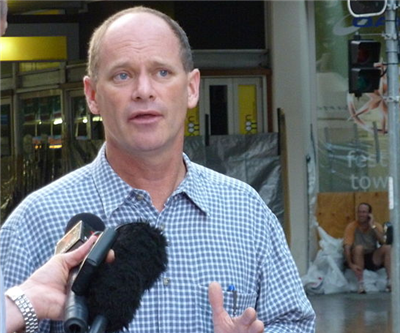 At the opening of BHP Billiton (NYSE: BHP) and Mitsubishi's Daunia coking coal mine on Wednesday, Queensland Premier Campbell Newman delivered some good news to the struggling sector: No royalty increases on his watch. The $1.4 billion joint project officially opened on Wednesday and Newman took the opportunity to reassure the coal sector that they would not see a repeat of 2012 when he increased royalties, Australia's The Age reports. "We didn't like to do it, there won't be any further changes and we are certainly trying to give people some [cost] offsets elsewhere," he told The Age. "We are doing everything we can to put on the table regulatory reform that will mean mines can find operating cost savings." Newman also said he was working on passing regulatory reform that would help cut operating costs for the miners. Over the past year the Queensland coal sector has faced some big hurdles including floods, job losses, and production cuts. Major producers such as Vale, Peabody and Glencore Xstrata have been slashing costs as they struggle with falling coal prices. In June, the sector lost 7,000 jobs. And it doesn't look like the miners will stop trimming any time soon. Speaking at today's opening, Dean Dalla Valle, President of BHP Billiton's coal business, told reporters they had "more to go" in order to remain competitive.